I have seen the first glimpses of Semana Santa, or Holy Week leading up to Easter next Sunday! Semana Santa is a huge deal in Latin America, with parades and celebrations all week long, building up to Good Friday as the pinnacle where passions are performed in the city streets. Sitting at the dock on Lake Atilan, waiting for our water taxi to fill up with people and depart, I started hearing a non-stop “cheep cheep cheep cheep…” After a while, I wondered if someone had strapped a crate of chickens to our roof, but didn’t think too much about it as there are often odd sounds around in foreign countries. But as more passengers boarded, they began speaking with a local woman who was seated just in front of me, with her back to me. Their conversations and pointing at her lap piqued my curiosity. I bent around for a glimpse and gasped as I saw she had a gaggle of brightly colored chicks on her lap! 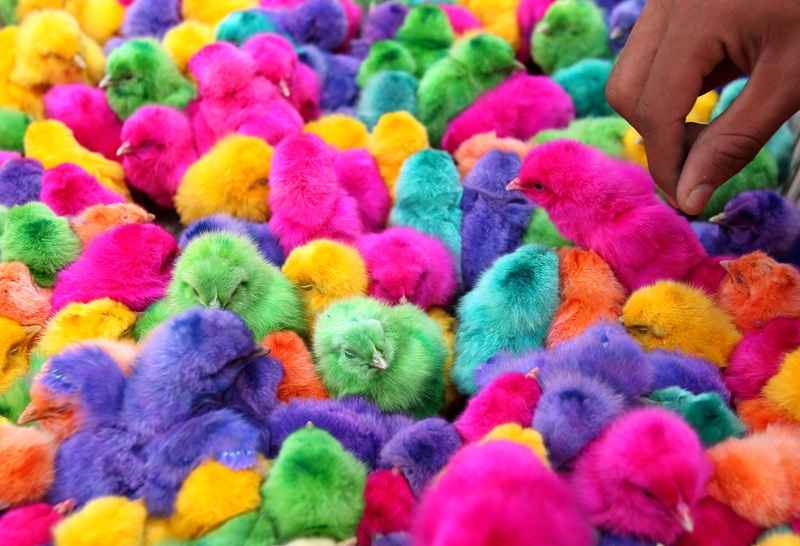 They were fluffy and dyed the brightest pink, purple, yellow, blue, and green that you would ever see. 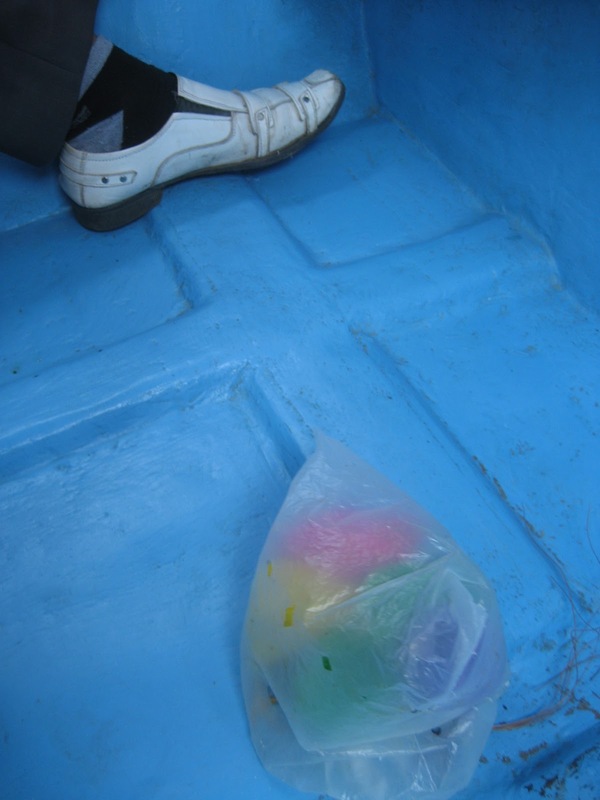 I then turned and saw that the man next to me also had two little plastic bags filled with a half dozen colored chicks each at his feet! They were the absolute cutest and kept climbing all over each other in the bag, causing them to repeatedly roll down to the trough of the boat bottom. Not a very effective escape, but pretty adorable. I asked him what they did with the chicks after Easter. He said they keep them around until they grow up and then eat them. Another man next to me said explained that they color the chicks by injecting fertilized eggs with dye partway through the gestation period. A nearby woman piped up and said she disagreed, believing that they were dunked in dye after they were born. I don’t know which method was used here, but the internet says both ways are possible. Who knew! I can’t wait to see more cheerful chicks and the other festivities as they continue to build over the coming week. wait what? Those are real? That's nuts!